Packaging Details: Wooden packing/custom packing based on the buyers request. A.the vascular can be removed immediately. B.0.05Hz-20KHz high frequency, amazing effective result. C.0.01mm diameter needle, good epidermis protect and immediately telangiectasia sealing. D.Portable machine which can be moved easily. 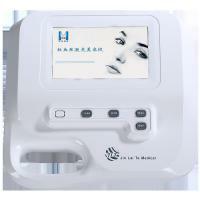 E.Humanized intelligent easy operation interface, true color touching screen. F.No pain, no risk, no down time. We can offer the door to door service by Express,such as DHL, UPS, TNT, FEDEX,EMS. A: 3-8 workdays after your payment. We offer one year free warranty for this item with professional engineer. Wuhan Jin Lai Te Optoelectronics Limited is a rapidly expanding manufacturer which engaged in production, marketing and offering medical devices and beauty equipment, including R&D. 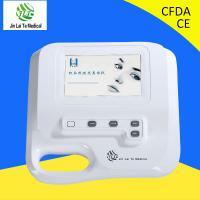 RF, IPL.E-light, CO2 Fractional Laser, PDT, LED etc. Pursuing excellent quality and best service make our products popular not only in China, but also in Southeast Asia, the MID-East, Europe, Australia and North America, and enjoy a high reputation among our customers from all over the world. We are looking forward to establishing long & reliable business relationship with all of you.